We last heard from "off-kilter" Swedish pop diva Beatrice Eli when she released her stunning yet dark debut single, "The Conqueror." Since then, she's been hard at work finishing up her debut EP, which includes the aforementioned two songs ("It's Over," "The Conqueror") plus two additional tracks; the "down-beat ballad" "Definite Mistake" and "Scandi-pop gem" "Violent Silence" (listen HERE). While Eli certainly sparked my interest with her debut single, it's nice to hear that she's sticking with a consistent sound and vibe on the EP. There's just something really interesting about this girl. She's got the look of an edgy pop-punk-rock star and the sound of a folk-pop singer/songwriter...in other words...a total original. 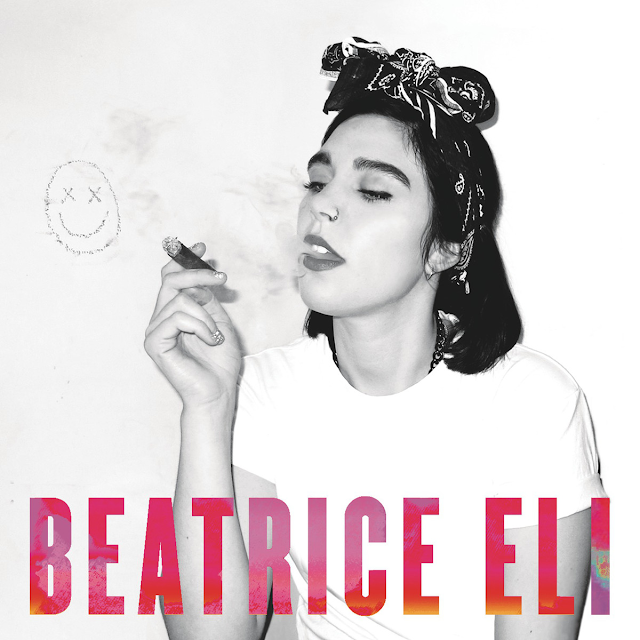 "Combining emotional vocals with mesmerizing beats not only does Beatrice Eli have a killer voice, but also a wicked sense of humour and an affinity for the theatrics. Beatrices very strong sense of identity, her vocals and talent as a songwriter make her a genuinely unique and credible artist." While the talented singer/songwriter has been making a name for herself in her native Sweden, recently opening for international R&B star Miguel in Stockholm, attempting to crack the UK pop market is a huge deal. That being said, she's the latest in a long line of successful Scandinavian female singer/songwriters, including Lykke Li, Oh Land and of course Robyn, to mention a few. In addition to her real, raw talent, I like that she maintains an unwavering sense of who she is - both as an artist and as a woman. "I'd like to be perceived as someone who's real, and passionate about what I do," she says. Girl also has a sense of humor, adding, "I'd want to be the badass daughter of Jackie Brown. I think it's gonna take me some living experience to get to that level of fearlessness or badassness, but I'm working on it." Take a look at Beatrice Eli in her new video and I think you'll agree...she's pretty badass. Download the EP, It's Over on March 24th.